This specially formulated bone support formula combines New Zealand-made StimuCal™ with Calcium citrate, and other nutrients to support bone formation, density and calcium absorption. 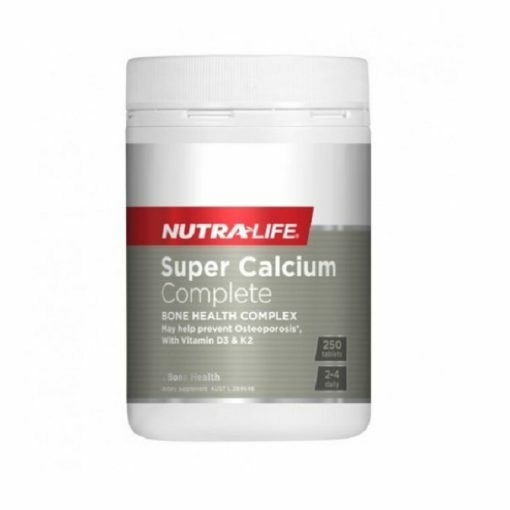 The Calcium and Magnesium in this product is formulated in a 2:1 ratio. Nutra-Life Super Calcium Complete contains Calcium and Vitamin D3 “the sunshine vitamin”, which may assist in reducing the risk of osteoporosis when dietary intake is inadequate. 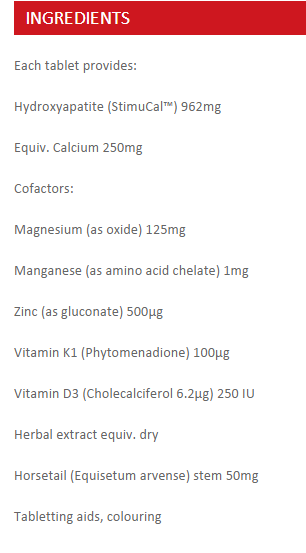 Recommended Adult Dosage: Take 1-2 tablets twice daily with meals or as directed by your healthcare professional.